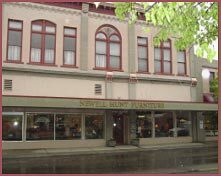 Today Newell Hunt Furniture occupies the bricks and mortar structure of this turn of the “20th” century building. 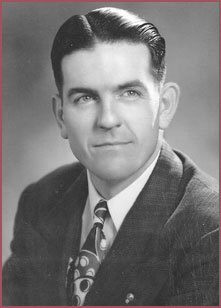 Our beginnings came into existence in 1946 by the hard work of a single man, Newell Hunt. He began his career of furniture employed at Puyallup Furniture located on Meridian twenty years earlier. Establishing his own endeavor on West Stewart, Hunt molded and nurtured this building into over 16,000 square feet of showroom and warehouse facilities. Bringing in what was known as the “ultra modern” elevator to downtown, and still operates today. In the 1960’s his son and daughter-in-law, Warren and Dorothy Hunt, joined the team. 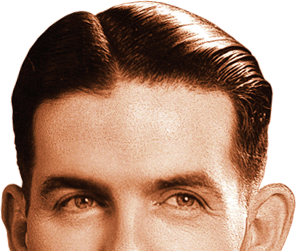 Together they built the business selling furniture and appliances. Their service and volunteering in various organizations over the years held them close to the heart of the community. The years prior to Newell Hunt Furniture the walls have held a variety of businesses. The main showrooms on each of the three floors are divided into east and west. We are told that the west side of the first floor was a banking establishment, and buried in the center is the original vault. The east side, main entrance, was the grange office. The third floor was used for music and dance hall. The east mezzanine was added by Newell. The front of our warehouse was occupied by a blacksmith with an apartment above. Behind that area was a loading ramp for the adjoining feed store just east of our building. Carts would back down into the sloped dock, load, and pull out into the alley behind our building. Any additional history of these buildings you’d like to share, please contact us. We still are proud to provide the valley with a quality furniture store. Our mission is to bring distinctive home furnishings and services to our customer with integrity. The lifestyle consultants provide a unique experience of purchasing for your home furnishings. Helping you express yourself with your lifestyle in mind. Thank you for visiting us at Newell Hunt Furniture. Owner, Newell Hunt Furniture, Inc.